Rightly, there has been a concerted push to address the under-representation of black, Asian and minority ethnic performers on stage and screen, led in recent years by great initiatives such as Act for Change. These efforts have begun to bear fruit: they are a work in progress, but there has – undeniably – been some progress. Off stage it is a different story. Essentially, we are still at the starting blocks: almost across the board, ethnic minorities remain starkly under-represented. 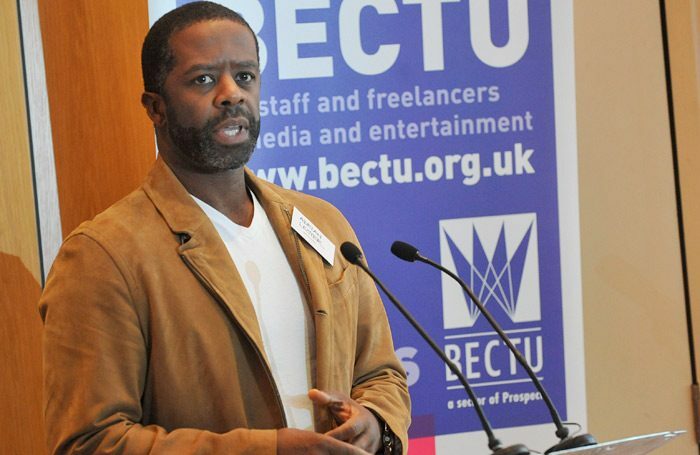 It is hugely welcome, then, to see BECTU, the main union of theatre’s offstage staff, working with employers in the shape of UK Theatre and individual theatres to attempt to address this challenge head on. Some interesting context is provided by another story this week: Ofsted chief Amanda Spielman’s comments that further education colleges offering arts courses are knowingly giving young people “false hope” about their future, because of poor job prospects. This story could be read in two ways, neither of which is particularly good for the arts. The first is to see it as yet another example of the government and the broader education establishment undervaluing the role the arts can play in offering young people a rounded education. And, indeed, Spielman’s comments have been met with horror by many. The second is to acknowledge there is a kernel of truth in what Spielman is saying, especially in a week when it was revealed that almost nine out of 10 arts internships are unpaid and there are 32% fewer working-class interns than the graduate population as a whole (two statistics I suspect are linked). It is still too difficult to find a route to a sustainable career in the arts. This will always be off-putting to people from backgrounds that are under-represented and especially to those who are less financially secure. Not all children studying the arts will want to work in them and there are values to be gained from studying drama (for example) that have nothing to do with becoming a theatremaker. But, if courses, are – as Spielman asserts – making claims that would lead students to think they are all going to enjoy successful careers in this highly competitive and difficult industry, they are doing a disservice. How theatre balances wanting to encourage and attract a more diverse workforce, while being honest about potential rates of pay and job prospects, is going to be one of the key challenges any successful campaign to broaden the workforce will have to overcome. Poll: Do you agree that arts courses promote unrealistic career prospects to potential students?